I was looking for a song for this morning that might relate to Valentine’s Day since it is only a few days away. I wanted something that wasn’t too schmaltzy or too on the nose. And something that you might not have heard before. I went through all of my favorites first and, while there were plenty of choices there, most of them were a little too well known. Then, as I was listening to another artist on YouTube– Louis Jordan rocking out on Caldonia— I noticed a song on the side, in the suggested-for-you videos that line right column of the screen. Instantly, I knew this was the right one. It’s Ella Fitzgerald doing a horned up version of the classic Sunshine of Your Love from the 1960’s band Cream, which featured Eric Clapton and Ginger Baker. What more can you ask for? You get the undisputed Queen of Jazz rocking out a love song from the seminal rock power trio of the 1960’s and nailing it hard. 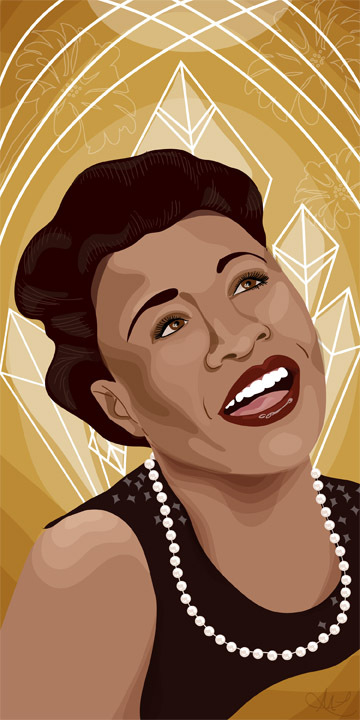 You can’t do much better than Ella. Happy Valentine’s Day right in your face. It makes me smile. Hope you like it as well and that you have a good Sunday.